When I was a teenager, one of the things I got to do through the good graces of my education was “shadow” a doctor at a local hospital. “Shadowing” derives its name from the act of following someone around everywhere, like a shadow, looking on as he or she does what needs doing for learning purposes. In this case, it was a series of medical professionals in the emergency center. There, I got to see quite a few things: a broken baby’s arm, a cranial injury, and other sick patients. But the most important experience I had from all this? I discovered what I didn’t want to do. I wasn’t fit to be someone in the field of medicine, because it wasn’t “for” me. In other words, I didn’t belong in this area, and finding this out as early as I did is something I always look back fondly on. Durarara! !x2 Shou plays with the idea of “finding where you belong,” with a small twist, presenting the audience with an alright offering and nothing more. 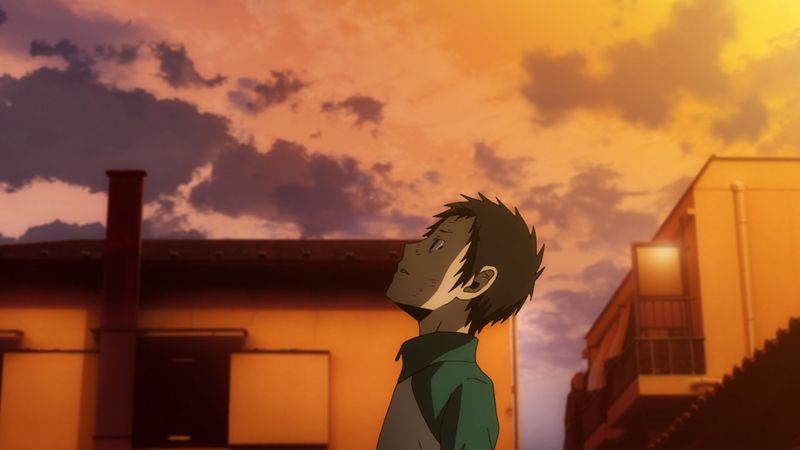 Shou takes place sometime after the events of the first season of Durarara. Ryuugamine and Sonohara are in school, Celty runs errands, and Ikebukuro continues to be the bustling city it’s always been. With murders, kidnappings, and turf wars abound this time around, the inhabitants of the town proceed through life aiming for smiles, not frowns. Shou finds itself in a rather awkward position. It’s a “split-cour” anime – a show whose season is essentially split into two. But it’s worse than this, because it’s technically a “split-split-cour.” The show’s content is divided into three separate pieces, meaning that this segment of the anime isn’t even the “set-up” for the conclusion. Shou is the set-up for the set-up for the conclusion. And it shows. Much of what goes on within the anime is entirely inconsequential for now. Nothing appears to hold any significance to anyone whatsoever, despite the anime focusing on three separate story arcs. The first with the actress, the second with the Russian blonde, and the third with the young daughter of a mafia boss; the only sense of purpose they provide is giving us a bunch of new characters to see or follow. The actual importance of these plot lines is lacking, but the anime, per usual, injects new people into the already busy city with ease. This development is both a boon and a detriment, though. On the one hand, these newer characters provide us the opportunity to witness what conflicts or issues they bring to the table that is Ikebukuro. On the other hand, due to the already massive size of the cast, it runs into an inherent problem: too many people for its own good. There are a lot of characters within Shou at this point (with even a brand new character being introduced literally right at the conclusion of the season). So adding more to the already extensive list forces the anime to divvy up its resources as best it can while leaving many known characters on the wayside. Main members Shinra and Sonohara, side members Namie and Emilia, and even the new recruits “Hollywood” and the Orihara twins are allowed less than a handful of opportunities to shine. They might have one small part or stretch of dialogue, but because the anime decided to put its attention towards other venues – Vorona, Akane, and Ryuugamine, specifically – this inevitably led to a disproportionate amount of focus for many of the characters. While Shou has a tough time juggling the people it is dealing with, it does present a rather nice thematic presence. This was brought up in the introduction, the idea of “finding where you belong.” But as was said there as well, there’s a slight twist: it’s not so much finding where you belong, but figuring out if you even want to be there in the first place. Ikebukuro is a city full of crazies, with each (known) resident having his or her own distinct personality. 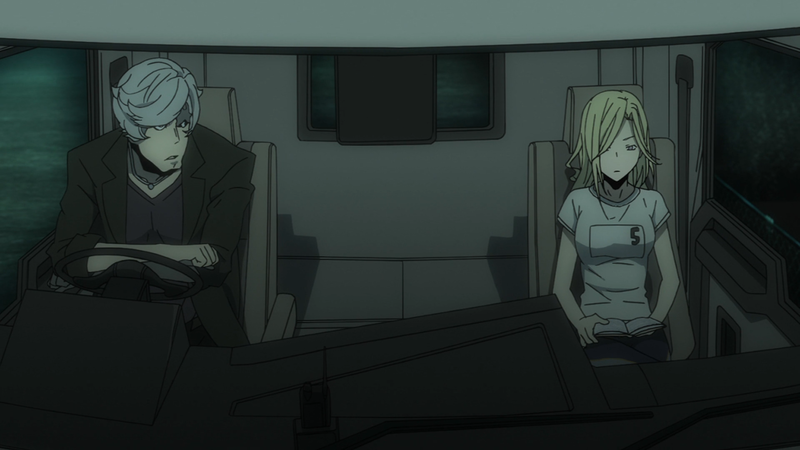 So what we see from “Hollywood,” Vorona, and Akane, the newcomers, is this very ideal. They don’t have a place to call their own. Whether that is because of their homicidal tendencies, their unending quest for the unknown, or the “betrayal” of their family, each finds herself in a rough spot, wondering if the city they now find themselves in will “accept” them for who they are. Ryuugamine goes through this same thought process; in fact, he’s the only one to second guess his position. Because in his reality, he’s the most “normal,” with this season showcasing his franticness, passiveness, and anxiety of being left behind in the place that he thought he knew as home. By the finale, it’s not fully known whether the decision he made was right or wrong. But at the minimum, Ryuugamine and the other girls did find their answer: Ikebukuro is the place for them. It’s difficult to describe the art for Shou, simply because of how boring it all comes off as being. It all blends together in its blues and greens, with the same skyscrapers, cafés, and restaurants marking it as any other busy town of the era. The regular residents, too, take on a persona devoid of detail or life, adding further to the art’s established stagnation. This all sounds pretty bad, until you realize that it’s supposed to be this way. While the locales often mesh together into sameness, they aren’t missing intricacy. Meaning, the backgrounds are detailed yet come off as “unappealing” to accentuate the ridiculous cast that traverse them. It’s simple, clever, and it works. Given the eccentric nature of the characters, their outward designs likewise match their inner selves. 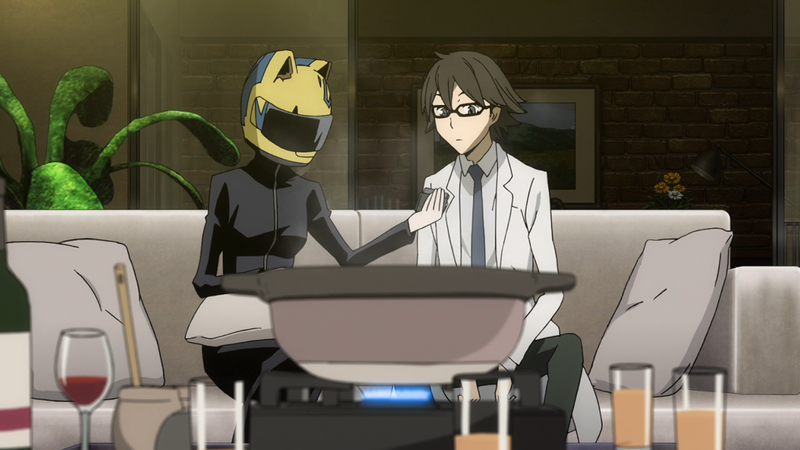 Veterans such as Celty with her yellow motorcycle helmet and jet-black, “leather” outfit and Shizuo’s tuxedo, ruffled hair, and purple shades make their return and are as nicely composed as always. The new additions see the same treatment; Rokujou’s fedora, fashion-sense, and constant bandages highlight him as the womanizer yet protector that he is. And Vorona’s orange-and-white tracksuit, light, long hair, and purple eyes make her stand out just enough among the rest of the cast without being overbearing. Actual animation is somewhere slightly above average. Surprisingly, there is a lot of action despite the show having a large amount of talking or side conversations. From a “friendly” brawl to a horse-drawn carriage, the events that take place, like the characters that act them out, are often unorthodox in nature and therefore present the anime ample chances to strut its stuff movement-wise. Due to Shou’s already-discussed segmentation when it comes to the overall material it presents, much of what occurs with the characters isn’t development. Instead, it’s either reconfirmation of the characterization they were already given – this is mainly targeted towards the original cast – or it is important background information – perhaps obviously, for the newfound characters. So while they don’t undergo anything life changing, they do hold pretty intriguing parallels that make them more than just the weirdness they each portray. Akane is a seemingly shy little girl who has a loving family and wonderful friends. But thanks to the advent of the Internet and smart phones – and being like any other curious ten-or-so year old – she easily researches that her family isn’t just well-off; they’re feared because of the gang-like connections they maintain. Subsequently, Akane realizes that her friends are artificial, that they only praise or follow her to keep their own families safe from harm from Akane’s. 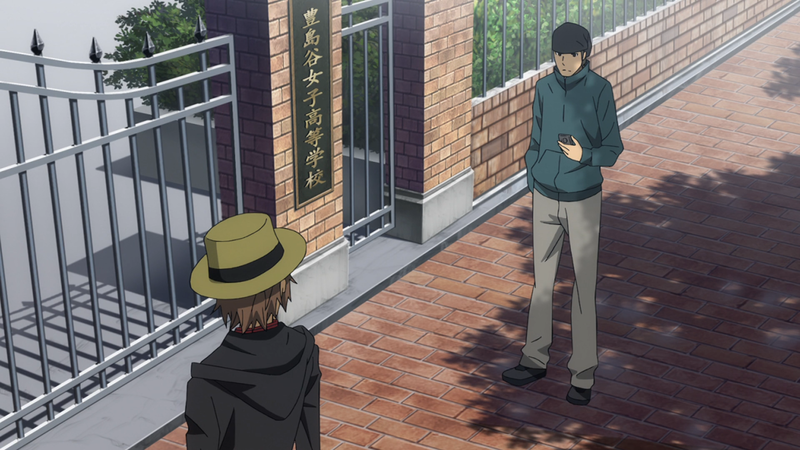 Thus, with a family who lied and friends who weren’t true, Akane runs away, confiding in the dastardly Izaya. At this point, her trust issues are all over the place: she wants family and friends around her, but to her, everyone is “out to get her.” Meaning, when Izaya gives her a rather enticing proposition, she takes it. But her target couldn’t be more impossible to eliminate; not only is it Shizuo, but she’s literally just a kid. The two couldn’t be further apart…at least, at first glance. In essence, Shizuo mirrors Akane in many ways. Where Akane seeks to have others be there for her (again, she is a child) Shizuo pushes everyone else away every chance he gets. 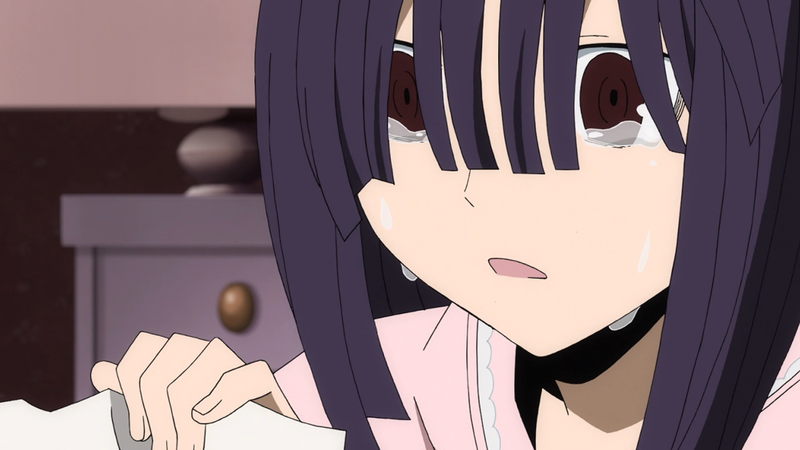 Akane received help from Shizuo’s rival – something that Shizuo would never do. One is physically strong but mentally weak while the other is physically weak but mentally strong. And above all, they each have the same stalwart conviction to do whatever it takes to get what they want. “Opposites attract,” and it couldn’t be more on point for this strange duo. In an eerily relatable situation herself, Vorona is a Russian assassin given various tasks to undertake. But growing up, she was less active and brainier. This was caused by her father’s estrangement due to his mafia-based position. With her father away and nobody else around, she turned to books, obtaining all kinds of obscure facts, minute knowledge, and completely out-there tidbits of information. Burrowing herself in the pages of the novels, encyclopedias, and poems she read had two side-effects: a lifeless personality and a thirst for more. The former is simple enough to understand; there might be books on the psyche we have or the feelings we get, but learning to express or control said emotions is something no amount of words can properly teach. The latter is somewhat counterintuitive. While she may not look it, she knows more or less everything there is to know. So to her, her greatest pleasure is discovering that which is not known to her. And Ikebukuro is the place where she can investigate such outliers. But she can’t do it alone. When she isn’t killing others or being unintentionally impersonal, the only person she can rely on is Sloan. He does whatever she asks of him (usually driving the get-away vehicle), but he also does something a bit more sincere. And that’s simply asking her about whatever is contained in that noggin of hers. It’s a tiny gesture, but it means a lot; having so much “useless” knowledge stored away, who wouldn’t want to share that with somebody else? It’s for these reasons – always being there for her and actually getting who she is – that makes them the “partners in crime” that they’ve become. Looking at both Akane and Vorona, there is a theme that the anime works with. It’s not the loneliness or yakuza-esque settings, but the pairing that each creates. These two girls rely on someone else to help them because, as was brought up earlier, they are attempting to see if Ikebukuro is the place for them. The same applies to “Hollywood.” She leans on Kasuka fully to get her through her mental instability. In other words, the complement to the one requiring aide gives it. 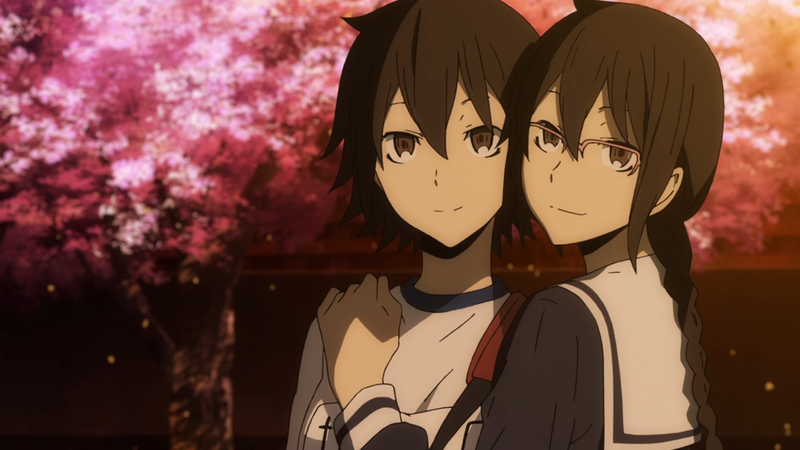 Other pairings can be found – Kadota and Rokujou, Celty and Shinra, and the Orihara twins, to name a few – but the most intriguing once again falls on Ryuugamine. He, too, is trying with all his might to figure out what to do. His pairing, though, isn’t Sonohara or Izaya, but rather Aoba. Ryuugamine’s coupling is special for a fascinating reason: his pairing is wrong. The audience is fully aware that Masaomi, his best friend, is the “match made in heaven.” But with Masaomi gone, he is forced to work with the oddball influencer, getting himself caught up in something he thought he was done with. While Masaomi may come to save the day eventually, for now, Ryuugamine’s pairing serves as a reminder that sometimes, particular pairings not only don’t work but can cause more harm than wanted. The opening theme is rough, but in a good way. The singer is coarse, the guitar is jamming, and the beat is contrarily slow when compared to the goings-on of the city it predates. It’s an okay piece that, if nothing else, does its job of getting the viewer ready for what’s about to go down. The ending theme, however, is pretty good. It’s somewhat unintelligible due to the reverb effects, but its fast pace and catchy beat make it a fun piece all-around that’s just as wacky as everything else Shou brings forth. The soundtrack is only notable for the screeching brass instrument that plays during tense moments and the dainty, off-kilter flute that, strangely, both does and doesn’t fit. Outside of other, mysterious mood-setters, many of the tracks only work to set the tone and nothing more. Voice acting is about average in overall performances. Special shout-outs are deserved for Hiroshi Kamiya as Izaya for his cocky portrayal and Toshiyuki Toyonaga as Ryuugamine for his broken-voiced way of speaking. I was not a fan of this iteration. Maybe it’s because of how downright annoying I find Izaya to be, how lame of a narrative arc Masaomi and Saki have, or how bored I found myself being with whatever it was trying to present. The disjointed storytelling is cool but nothing worthwhile, the cast isn’t relatable, and nothing really dramatic or comedic comes to fruition. It was a slow burn, from start to finish, with the flame never providing enough light to guide me down the path of entertainment. Durarara! !x2 Shou has a forgettable plot, a passing grade in its music, and very little in the form of happiness. However, its interesting characters and solid themes provide it with a platform that isn’t entirely brittle. Hopefully the continuations do more, for there is certainly room for improvement.